In Week 3, Blessed Trinity’s J.D. Bertrand had 10 tackles, 3.5 for losses in a big victory for the BT Titans. 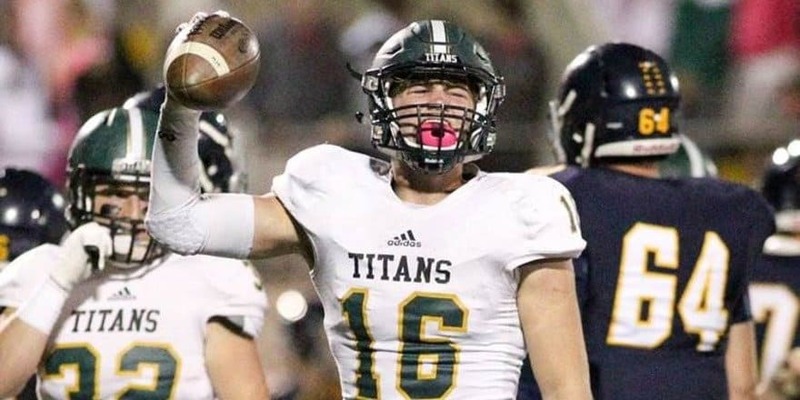 Playing both linebacker and tight end, he has been a standout player earning all-state recognition as a Sophomore and as a Junior. He is considered a 4star recruit and is committed to play for Kirby Smart’s Georgia Bulldogs.